Marc Ouayoun has worked to learn more about the individual dealerships and regions across Canada so he can formulate a strategy to evaluate potential and promote the brand. Marc Ouayoun, freshly minted CEO and president of Porsche Cars Canada, is employing a strategy that maintains a “realistic” outlook on the growth of luxury-car sales and dealerships across Canada. “Trees will not reach the sky...but trees can continue to grow,” said Ouayoun, a 48-year-old native of Dunkirk, France. “At a certain point, we need to be realistic and continue to have the right balance of supply and demand in the market. 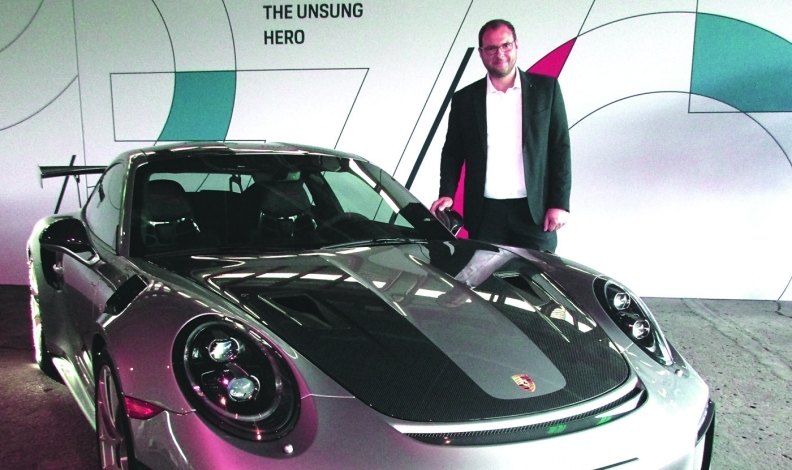 Ouayoun took over in January from Alexander Pollich, who presided over record sales during his four and-a-half years before moving to a similar post at Porsche Cars Great Britain. In 2017, Porsche Canada sold 8,249 cars, an increase of 17 per cent over 2016. For 2018, “I think we can sell between 8,250 and 9,000,” he told Automotive News Canada. “The SUV luxury segment is still growing very fast but with a slightly lower pace, which is normal. Ouayoun has worked to learn more about the individual dealerships and regions across Canada so he can formulate a strategy to evaluate potential and promote the brand. Part of that, he said, is to hold the line on new-vehicle dealerships, which number 19, and extend used-car and service-centre operations in markets that cannot support an additional dealership. 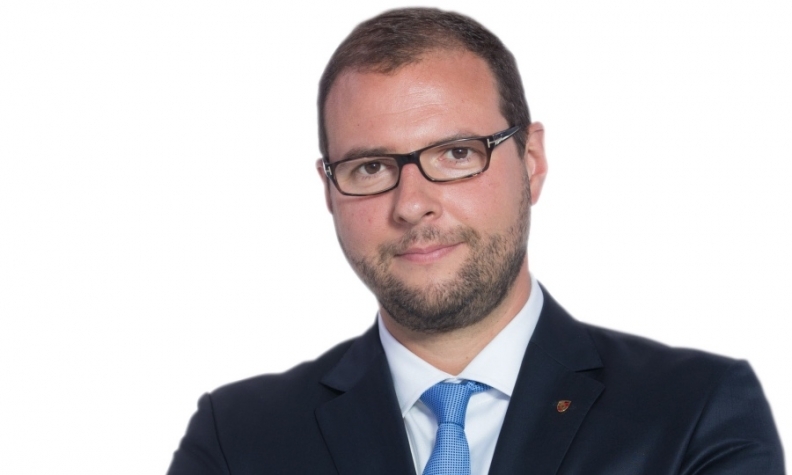 Ouayoun has recruited Colas Henckes, with whom he worked in France, as his new marketing director to carry out Porsche’s plans for digital technology. Henckes’ expertise is in motorsports, experiential events and social media. “It’s a very vast subject where you can talk about bringing modernization to the dealership, to connect virtual and the real world,” Ouayoun said. “Our customers like to go online and to configure their car at home and try different combinations of interior and exterior colours and equipment. They like to go to the dealers to connect the virtual experience to the real experience. “We are now developing a lot of activities. We are putting big screens in the showroom everywhere across the Canadian network. It is not only about customer experience but also a social-media presence. Dennis DesRosiers, an industry analyst and president of DesRosiers Automotive Consultants Ltd., praised Ouayoun for his conservative outlook on new-vehicle sales. “It’s always better to under-promise than overdeliver. It’s a smart strategy. Porsche is one of the fastest growing brands in Canada the last four or five years. It wouldn’t surprise me at all if they settle into a threeto five-per-cent growth rate for a while just to have a pause to catch their breath. Marc Ouayoun began his automotive career in 1995 at Daimler AG and held marketing positions in France, Germany and Great Britain. He joined Porsche in 2006 to oversee sales and netwo development within France-based operations. One of Ouayoun’s first Porsche experiences in Canad was the “70 Years of Porsche” exhibit at the 2018 Canadian International AutoShow in Toronto. Ouayoun drove a Macan when he first came to Canad because it was “a perfect car for winter.” For the summe he switched to a Panamera Sport Turismo, which he sa is a “smooth car, very powerful.” Ouayoun also loves cla sic cars. In 2017, the Porsche 911, Panamera and Macan broke sales records, with increases of 31 per cent, 86 per cent and 35 per cent, respectively.